Experimental archeologist, trapper, writer, Kim likes to think of himself as a guardian of ancestral knowledge. He lives between Europe and Yukon in North-West Canada where he owns a concession isolated from the modern world. There he tries to unlearn a bit of our modern world to make room for a more subtle approach to the environment. But foremost, it is the lost dialogue with nature that Kim wishes to find through this “search of our origins”. A dialogue that means relationship passes before progress and intention before action. For this, he collaborates with the First Nations of Yukon to be able to imagine a way to preserve the values that he treasures. He does not feel concerned by the modern world that, according to him, is a machine that kills diversity, may it be biological or cultural. He thinks that it is high time for our society to find its place in the ecosystem. Kim is co-author, with Bernard Bertrand of the book Arts de Vie Sauvage, gestes premiers, at the Terran editions. He also wrote several practical cards Devenir autonome (how to become self relient) at the Ypypyp editions. The Arthaud editions will publish in 2019 his notebooks of his life in the wild. He is also an active member of the Ecole Pratique de la Nature et des Savoirs and cofounder, with Michael Palma, of the PACT platform. After his studies of ethnobotanist and his many experiences in the woods confirming his knowledge of life in the wild, Pâris is today passionate about the plant kingdom. 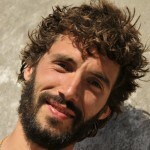 He has been hosting for several years wild life immersion courses throughout Europe. He will accompany you very naturally and share his love for plants and the living through their discovery. He is also the author of the photos fort the book Plantes urbaines written by François Couplan at the Sang de la Terre editions. 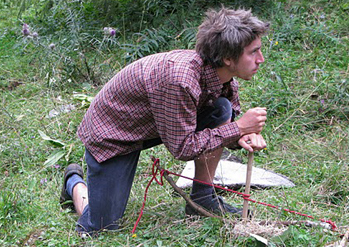 After his studies as ethnobotanist, Marc underwent training in permaculture. 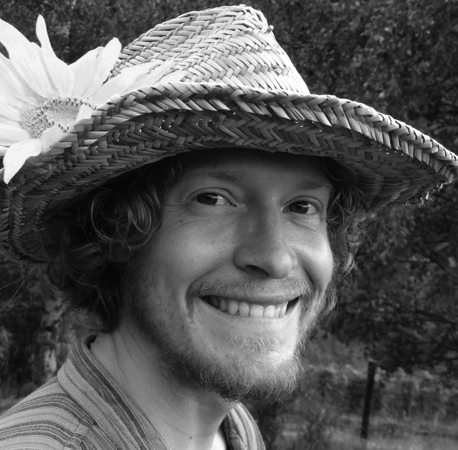 He now lives of his courses on wild edible plants and natural gardening. For him, the apparent barrier between the wild and the cultivated is doomed to disappear and give way to a world where one could help themselves to wild plants in the spring when the sapplings are still warm inside, and eat the garden vegetables in the middle of summer while the wild plants will be preparing their seeds for the following year. Autumn sees both ressources mix in a world of wild and cultivated fruit to fill jars of delicious food for winter. He loves to share his recipies of wild foods cooked on the camp fire with as light a bag as possible for a delicious and easy hiking experience. 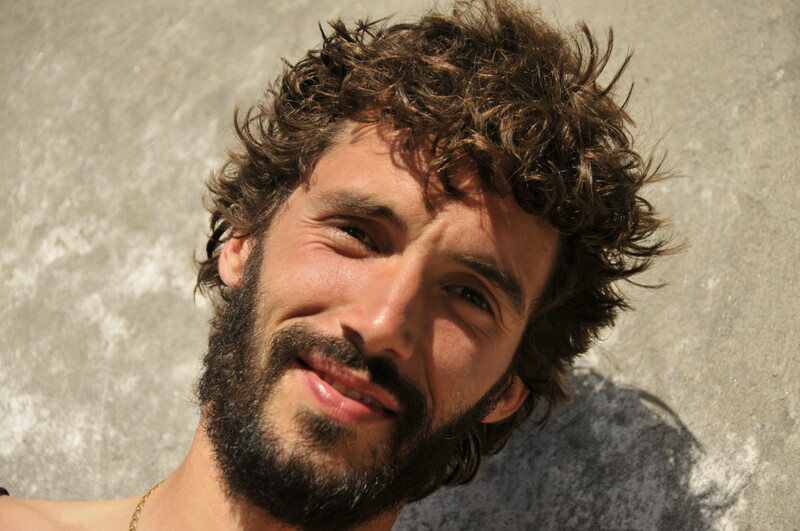 Michel Racine, 38 years old, mountain guide, nature enthousiast, spent his life between collectives adventures and immersions in nature. His journey pushes him to question and experiment attitudes and practices that help develop relationships with others, human or other. Originaly from Estavayer-le-Lac in Switzerland, Pierre-Yves Duc, passionnate about hunting, fishing and prehistoric times, went to live in Yukon 10 years ago. He came to this faraway land to live his passion for life in the wild. There he trained sled dogs during several years before finally buying a trapping concession with Kim Pasche. There he hunts big game of North-West Canada, fishes and does trapping. 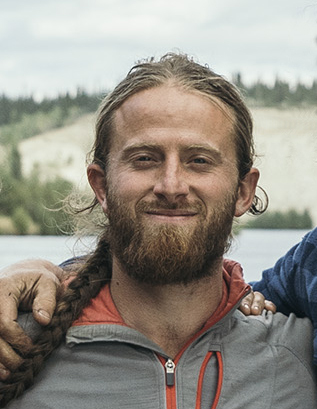 Wanting to share his knowledge, Pierre-Yves created a few years ago Call of the Wild Outdoor Adventure, a structure that helps other people who are passionate about life in the wilderness to learn about living in the woods and the life of trappers in the North of Canada. Philippe has been exploring for several years the plant kingdom and the relation that people have with hit. The pyrenees mountains, the Alps of Haute Provence, the Lauresylves of the Canaries, the North Canada or the peninsula of Cap de Bonne Espérance; every new destination offers the possibility to learn a bit more. His research brought him recently to the school benches of the Collège Pratique d’Ethnobotanique, founded in 2008 by François Couplan. 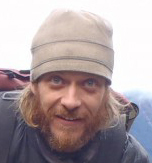 He has started to coanimate botanical courses and nature immersion courses during the summer 2009. 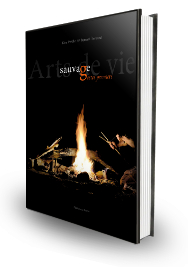 The book “Arts de Vie Sauvage et gestes premiers”, written by Kim Pasche and Bernard Bertran, Terran Editions. 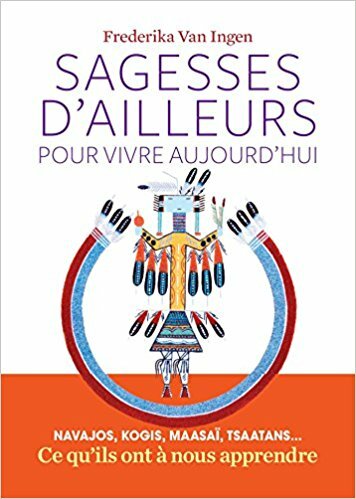 Les Arènes Edition, le livre “Sagesses d’ailleurs pour vivre aujourd’hui” written by Frederika Van Ingen. © Gens des Bois 2019. Tout Droit Réservé.